Established in 1897, Dillingham Ranch is an extraordinary place enriched with history. The original piece of land was acquired by Benjamin Franklin Dillingham, who was the first officer on a clipper ship that docked in Honolulu in 1865. While ashore, he suffered a broken leg in a horseback riding accident and remained in Hawaii thereafter, taking a job at a hardware store and eventually becoming Hawaii’s first railroad tycoon. 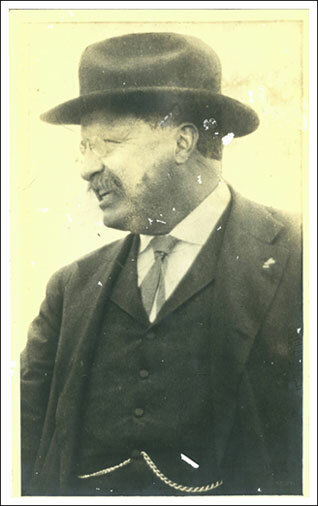 Dillingham’s son, Walter Dillingham, built Dillingham Lodge with the help of his siblings, Harold and Marion, in 1917. Known as “Hawaii’s greatest builder,” Walter Dillingham is credited with shaping Dillingham Ranch into what it is today as well as changing the entire O’ahu landscape. His accomplishments include converting 1,000 acres of swamp land into the famous Waikiki Beach, dredging Pearl Harbor and building its drydocks, building Ala Moana Park and Ala Moana Center, as well as creating Rodgers Field, which is now known as Honolulu International Airport. “From my father, I inherited the moving vision that saw these islands prosperous,” Walter Dillingham said. Dillingham Ranch has also hosted cattlemen, ranchers and sportsmen. Notable visitors to Dillingham Ranch have included Noel Coward, who authored A Room With A View while sitting on the lanai, Prince Hussein of Jordan, the Marquis of Waterford, Eva Gabor and Ginger Baker. Additionally, Prince Charles, Major Ronald Ferguson, General George S. Patton and various international polo stars, among others, have competed on the polo field. The polo grounds are considered the birthplace of Hawaiian polo, which was especially popular in the late 1800s. Walter Dillingham cofounded the Hawaii Polo and Racing Club and played the sport until he reached the age of 65.